We are open everyday, also on weekends and bank-holydays, from 10.30 to 18.30. We wait for you! 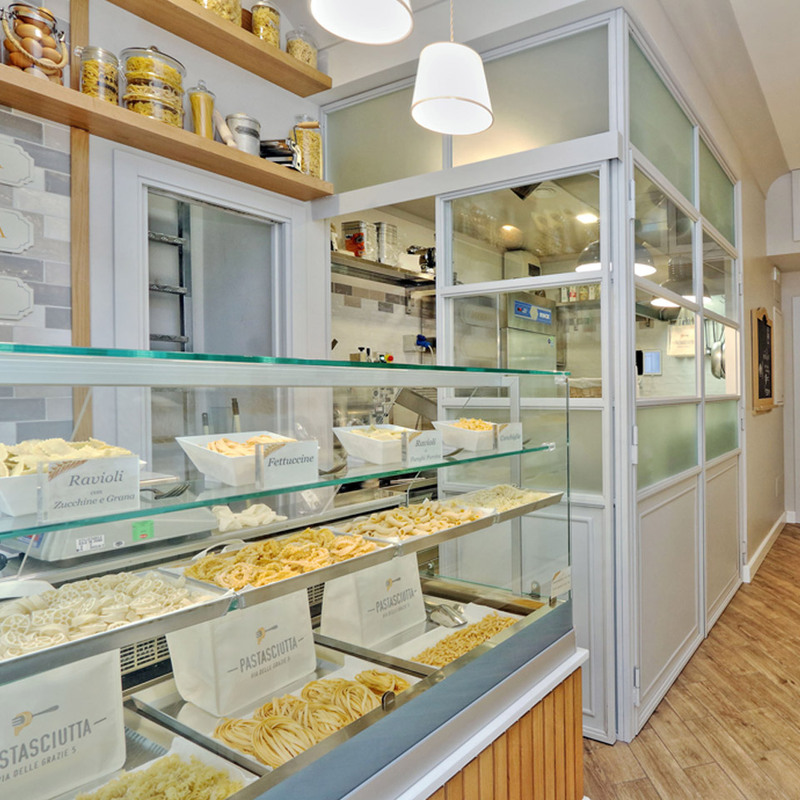 Pastasciutta in Via delle Grazie is a small, cosy and elegant venue with the laboratory of fresh pasta in plain sight, here you can see the production of fresh pasta in front of you and look at the chef while he prepares your meal in 2/3 minutes. Our dishes of the day are choosen on the basis of seasonality and on our chef’s inspiration, Come and try them all! 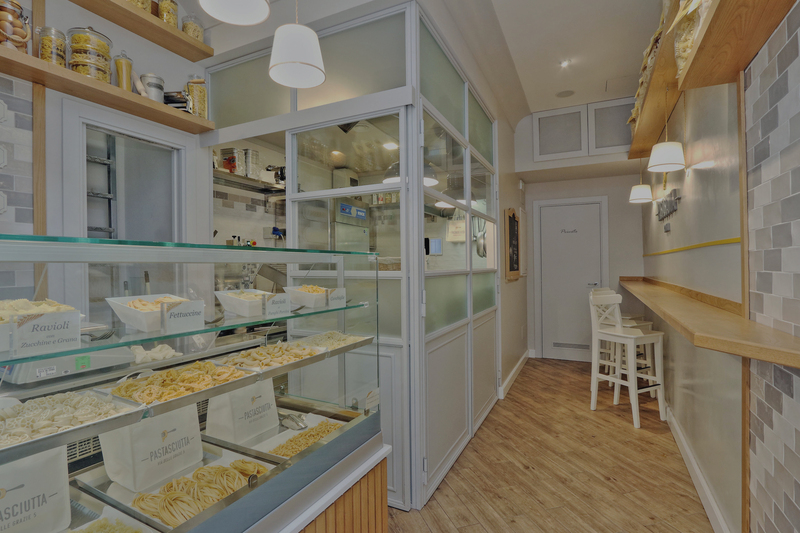 The new Pastasciutta gem, with a lot of space and tables where you can enjoy your fresh pasta, just in front of Piazza del Popolo, open everyday, also on week-ends and bank-holydays, from 11.00 to 22.30. Sometimes pictures are much better than words, here you will find some of them, but on our social networks pages you will find them all! Pastasciutta Roma on social network! Follow us on facebook and instagram to keep yourself informed on our initiatives and read our customers’ reviews on Tripadvisor and Yelp.